From the first of April, none of Platform's mortgages will restrict landlords from letting to tenants in receipt of housing benefit. "This is not a condition that we want to continue to include in the mortgages that we offer and we will no longer enforce these clauses in our mortgage terms"
Platform, the intermediary mortgage brand of The Co-operative Bank, is removing all letting conditions that restrict landlords letting to tenants who receive housing benefit. Platform says that although the clause wording will remain part of some documentation and processes in the short term, while system updates are made, all changes will be implemented to remove the condition by 19 May 2019. Landlords will be able to let to tenants at their discretion from April and in line with the other conditions of let which are set out in the terms and conditions of their mortgage. 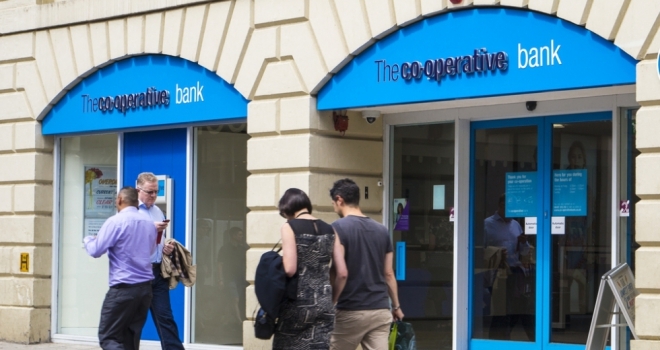 This change will also be replicated across all lending brands of The Co-operative Bank. Earlier this month, NatWest lifted restrictions on buy-to-let landlords which prevented them from letting to tenants in receipt of housing benefit. In October, NatWest's lending practices came under scrutiny over the case of a landlord who was refused a remortgage and threatened with revocation of the existing mortgage on the property because she was renting to a tenant in receipt of housing benefit. The Work and Pensions Committee then wrote to several mortgage lenders about potential DSS discrimination clauses in their lending policies. The Committee asked NatWest, Co-Op and a series of other mortgage lenders including Kensington, Nationwide, Metro Bank and Precise, whether their buy-to-let mortgage policy allow landlords to let to tenants receiving any benefits including housing benefit. It also asked the lenders whether they are satisfied any restrictions they place on buy-to-let landlords would not inadvertently amount to unlawful discrimination against benefit recipients. Zoopla followed NatWest in lifting restrictions on renters who receive housing benefit. These include prohibiting the inclusion of 'No DSS' restrictions on the site, removing the references from listings on the Zoopla website and removing the 'No DSS' fields in its cloud-based software products. Gordon Soutar, managing director of Mortgages at the Co-operative, said: “We are glad to be able to remove this condition to the benefit or our landlords and prospective tenants who previously may have been restricted from taking up tenancy due to the inclusion of this letting condition in our mortgage terms and conditions.